#NWTW Week 18: What’s Am I Going To Eat With My Lebanese Red? If you remember from yesterday’s post, I’m expecting a spicy and full red wine blend. So I can play with meats and spices in the food pairing. Well when it comes to Lebanese food then you don’t really have to think too hard. 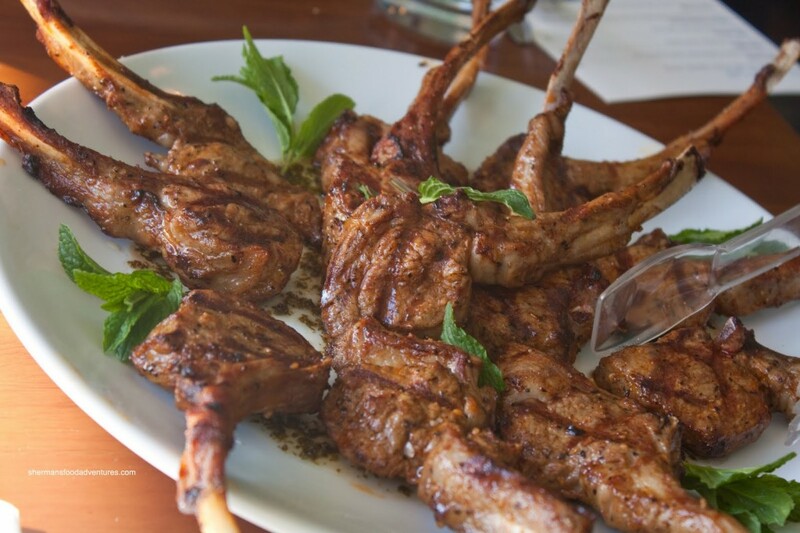 One of the absolute standouts for me whenever I’m lucky enough to pop down the road to the restaurants is the spiced lamb chops. Don’t get me wrong, it annoys me that they’re so small. Two bites and they’re gone, right? But hey ho, they taste so damn good. Marinade your chops in salt, pepper, lemon juice, garlic, and paprika for a few hours (preferably overnight). Then it’s the same old story on how to cook it. Sear in the pan quick and then into the oven for 10 minutes at 180 degrees. Again make sure you leave to rest so you get the lovely pink colour in the middle. You can serve it up with couscous, maybe a little tomato and aubergine salsa. But make sure you take a good slug of wine with those lamb chops. I reckon it’ll be spot on. Pingback: Please Bring Me My Wine | #NWTW Week 18: What Did I Reckon to Lebanese Red? ← #NWTW Week 18: What’s a Lebanese Red Going To Taste Like?